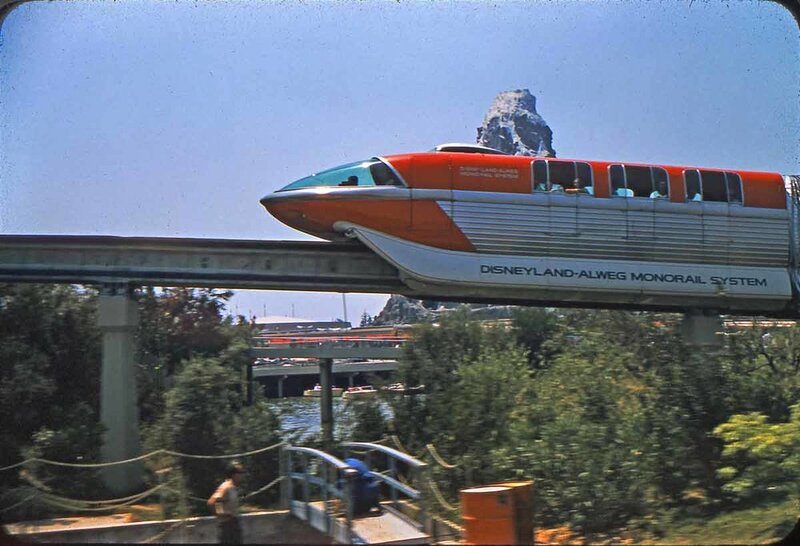 Stuff From the Park has some great vintage Disneyland photos including the one pictured above of the Monorails traveling over Submarine Lagoon from 1959. Gorillas Don't Blog also has some great old Disneyland pictures including the one below from 1960. I still wonder if all the Monorails in the respective Disney parks are considered by the general public to be transportation or a novelty attraction.